This week has included more different PADI Specialty course dives which have been a good fun and made the week very interesting. The week started with PADI Fish ID course which was to learn about different species that live here in the Canary Islands. Very interesting topic and I learned a great deal more about the aquatic life in Abades. Dives were nice and relaxing. We noted over 25 species during dives. I also did AWARE Coral Reef Conservation which included to spot different corals that one can see in Abades. There were not many but still interesting. 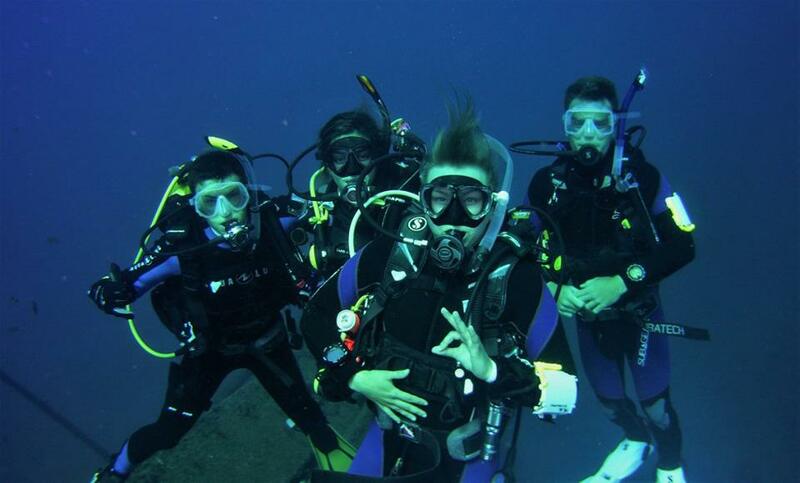 I also did my Night Dives on Monday which was brilliant. We didn’t see that many new species during dives but it was amazing to dive at night and see the bio-luminescence underwater. On Tuesday I did my first ever wreck dive which also happened to be my 50th dive! We went to Tabaiba wreck to conduct the first three dives of the wreck diving specialty course. The objectives of the dives were to identify different hazards in the wreck, map the wreck and practice to set the penetration line outside of the wreck. I found that the wreck itself was very interesting dive site and quite convenient as a first wreck to dive since it’s not as intimidating as I would assume some other bigger wrecks would be. On Wednesday we practiced PADI Divemaster skills in water with Dominic in the morning and on the afternoon we went to make our PADI Deep Diver speciality dives in El Poris. We were incredibly lucky and we spotted 4 Canarian lobsters, a species that is very rare and very hard to see. They were amazing, looking like living fossils. On Thursday we ended the week with PADI Surface Marker Buoy specialty dives and practiced with Alice the proper SMB technique.